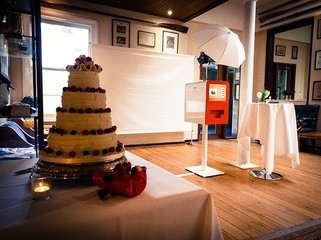 Simply put, a photo booth like no other designed entirely for weddings. Our Open Photo Booth puts you in charge of taking super fun studio quality photos. Push one button, pose for the photo, and have an instantly printed copy in your hands to take away.